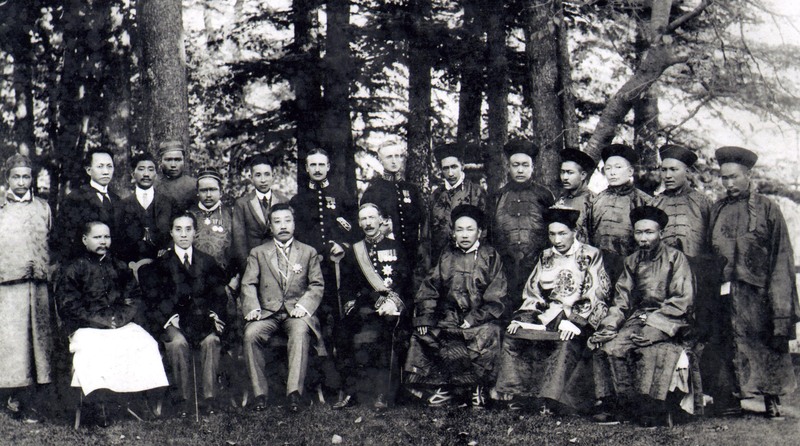 This year is the 100th anniversary of the signing of the Simla Agreement at the conclusion of a tripartite convention held in Simla between Tibet, British India and China in 1914. Today, May 23, marks the completion of 63 years since Tibet and the People’s Republic of China (PRC) signed the 17-Point Agreement on the geographical division of the Tibetan region in 1951. A century has passed, but still Tibet and Beijing find themselves at loggerheads. Many Chinese scholars believe the PRC’s current ethnic policy is flawed and was misconceived in the first place. They think giving different appellations to different groups of people creates division in a country as diverse and large as China. So classification of people into different nationalities is fundamentally the bane of a unified and harmonious China. These scholars believe China could do away with the terms “ethnicity” and “nationality” and let all people blend together in a large “melting pot”. Other thinkers believe the current ethnic-based problems China faces can be solved by taking the bull by the horns. In the case of the protracted issue of Tibet, they say the Dalai Lama is the “key” to a mutually agreeable solution. Veteran Tibetan communist Bapa Phuntso Wangye, who passed away recently in Beijing, expressed similar opinion in a letter, dated October 29, 2004, to then president of China Hu Jintao. When common ailments have many cures, the Tibet issue is sure to have many practical solutions. One solution, I believe, can be found if the Chinese leadership revisits the Simla Agreement and the 17-Point Agreement. The degree of autonomy given to Tibet and the Tibetan people in both these documents, when applied uniformly throughout the plateau, could throw up a solution that satisfies the reasonable aspirations of the Tibetan people and also protects the territorial integrity of the PRC. The Simla Agreement became the first document to mark a division between Inner Tibet and Outer Tibet. According to the agreement, areas to the west of the Drichu (Yangtze River) constituted Outer Tibet and those to its east, Inner Tibet. The agreement recommended China enjoyed suzerain, but not sovereign rights in outer Tibet. But in the case of Inner Tibet, the agreement recommended China enjoyed sovereignty. This means the agreement recommended that Outer Tibet should enjoy total autonomy. Republican China initialed the agreement, but did not sign it. This led British India and Tibet to declare in the final agreement that Republican China had forfeited all the rights given to it in the agreement. The PRC condemned the Simla Agreement as an imposition by an imperialist power. Nevertheless, it later modeled the 1951 17-Point Agreement on this condemned document. The 17-Point Agreement divided Tibet roughly along the lines of Inner Tibet and Outer Tibet, as recommended by the Simla Agreement. Inner Tibet, consisting largely of eastern and north-eastern regions of Kham and Amdo, was created either into a new province, like Amdo into Qinghai, or incorporated into existing Chinese provinces, like Gansu, Sichuan and Yunnan. For Outer Tibet, which corresponds largely with the present-day Tibet Autonomous Region (TAR), the 17-Point Agreement promised real autonomy. The 17-Point Agreement said “the central authorities will not alter the existing political system in Tibet. The central authorities also will not alter the established status, functions, and powers of the Dalai Lama.” These two promises are the true source of the concept of “One Country Two Systems” with which the PRC took over Hong Kong from the United Kingdom in 1997. The agreement also provided for Tibetans to carry out reforms on their own. The central authorities promised that they would not impose reforms in Tibet. Both these agreements failed to bring about good and lasting relations between the signatories for two fundamental reasons. One reason is the division of Tibet into two. The second reason is that the promises made in the 17-Point Agreement were not kept. With Tibet divided into two, Chinese central authorities implemented two different policies on one people. As early as 1952, Chinese authorities attempted to introduce “democratic reforms” in eastern and north-eastern regions of Kham and Amdo. In this exercise, property of some members of the upper classes, primarily those not collaborating with the United Front, was confiscated. In 1955-56 Chinese central authorities initiated the “socialist transformation” or “collectivization” in the same regions of Tibet. This policy deprived people of private land and property ownership. As a result, many Tibetans from eastern and north-eastern Tibet escaped to central Tibet en masse. With them they carried messages of extreme difficulties that they had to go through under those policies. Expectedly, an atmosphere of fear and suspicion filled central Tibet. At the same time central Tibet, which till then remained shielded from those policies by the terms of the 17-Point Agreement, witnessed ever-increasing attempts by the local PRC representative to infringe on the rights promised to the Tibetan people in the 17-Point Agreement. Consequently, the Tibetan people’s resistance movement that ultimately led to the 1959 uprising was born. If the 17-Point Agreement was applied to all Tibetan regions and the autonomy rights promised in it were respected, the popular Tibetan uprising of 1959 could have been avoided and China would not be confronted with the issue of Tibet.